Back before the invention of central air conditioning, screen doors were used as a way to keep out pests while allowing fresh air to enter a home during hot spells. But today’s storm doors do much more than improve air circulation and keep the bugs out. In the winter, storm doors act like storm windows by adding an extra layer of insulation between your home and the elements. The thermal barrier created between your storm door and entry door keeps the cold air out and maintains the warm air inside. This extra protection is critical especially if you have an older entry door that isn’t airtight. 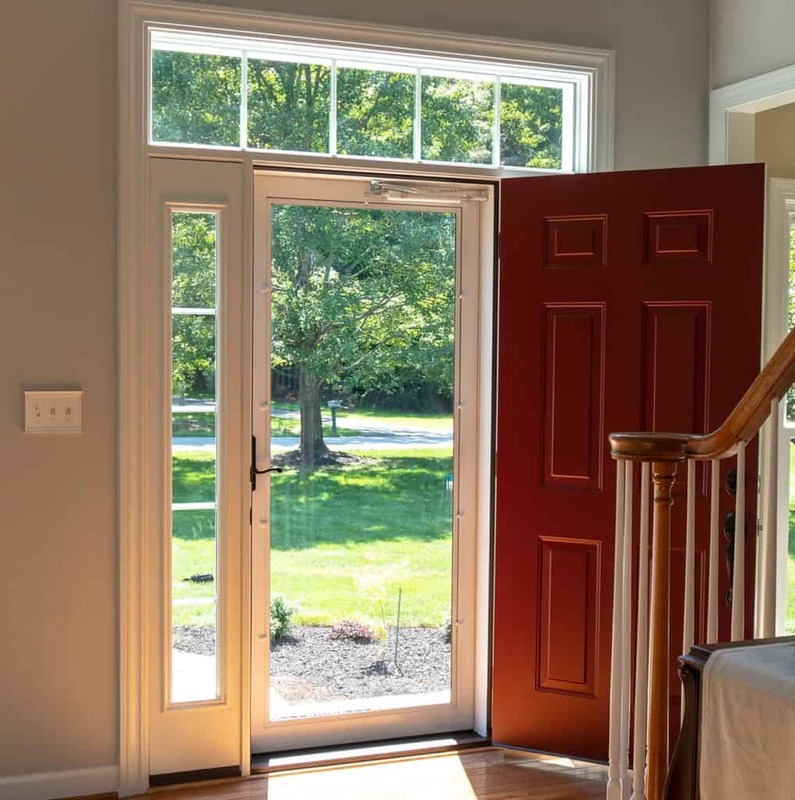 A snug-fitting, airtight storm door installed with a newer energy efficient insulated entry door creates a tight fit to keep your home comfortable. While having a storm door will help lower your heating bills in the winter, they have benefits during the warmer months as well. For the same reason, the thermal barrier keeps you warm in the winter, it will also keep your house cooler in the summer. Many storm doors come with the option of being converted to a screen door. 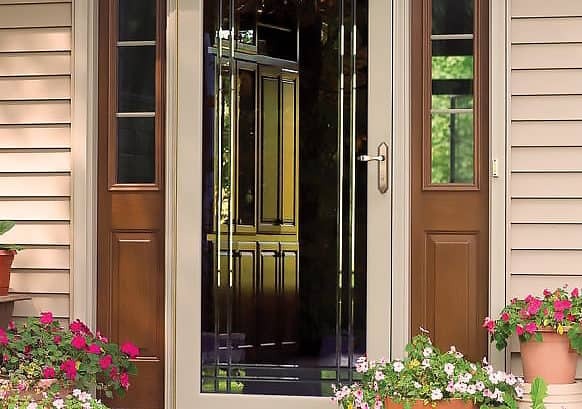 As the weather warms up, you can open your entry door to allow in cool spring breezes. And if your entry door is solid with no windows, a storm door allows more natural light to enter your home. If you don’t have a storm door, it can be a wise investment. When ordering a storm door, make sure you get one that is hinged on the same side as your entry door. Face your entry door from the outside and if the hinges are on the right then you need a right-hand storm door. Storm door styles vary, from a simple white frame to choices in various colors and decorative glass options. Handy homeowners can install a storm door themselves with the proper tools – an electric drill, screwdriver, and level. But to maximize the energy efficiency of the storm door, it’s important that the storm door creates a snug fit within the door frame. Some storm door manufacturers offer a professional installation service, which ensures the perfect fit. Quality weather stripping along the top and sides of the door and a bottom sweep that fits snugly against the threshold will create a tight seal when the door is closed. Consider investing in a storm door. It will improve the energy efficiency of your home, save money on utility bills, and provide ventilation in the warmer months.